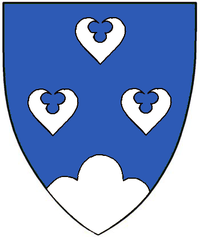 Azure, three seeblätter one and two, a trimount argent. Amalie von Hohensee (ah-MAH-lee-uh fon HO-en-zee) . 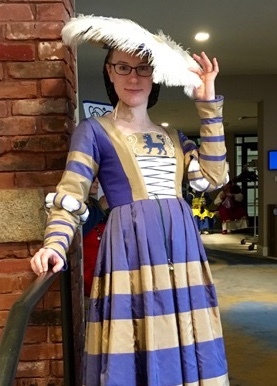 Practitioner of bardic arts and needlework.